Give the gift of choice with a Versant digital gift certificate! Choose your own amount for the certificate. This is a digital certificate that will be emailed to you and can only be used at the Versant eStore. Digital certificates cannot be used at our retail location. 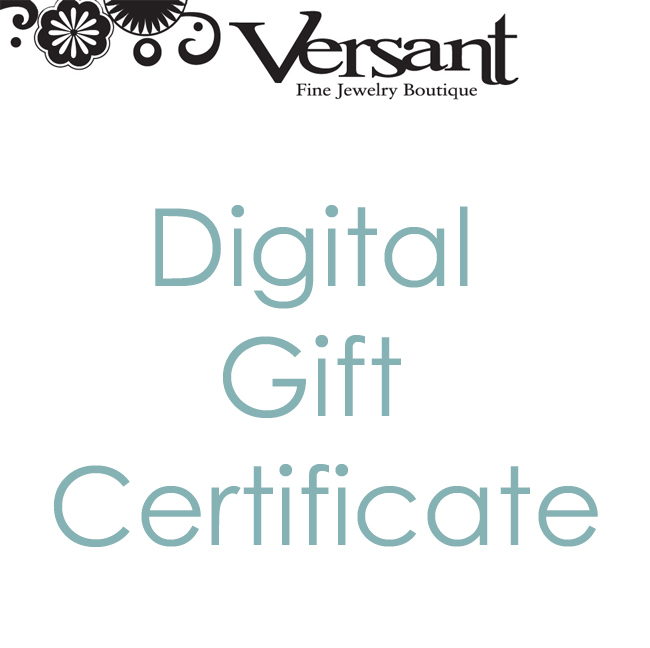 Give the gift of choice with a Versant digital gift certificate! Choose your own amount for the certificate. This is a digital certificate that will be emailed to you. Digital certificates can be used online or printed and used at our retail location.